Besides potentially lower price, does a used 2017 Audi A4 offer any other trade-offs for a new 2018 of the same model? 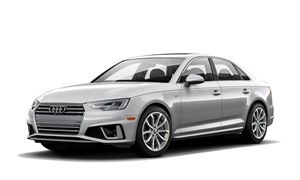 From KBB, What's New for 2018: "The 2018 Audi A4 luxury sedan limits front-wheel drive (FWD) to the base Ultra; all other models now come with quattro AWD standard. Some previously optional driver-safety features are added to the Premium Plus, and even more for the Prestige. Also new is a Black Optic package." The safety features are really useful.